Age-related macular degeneration. 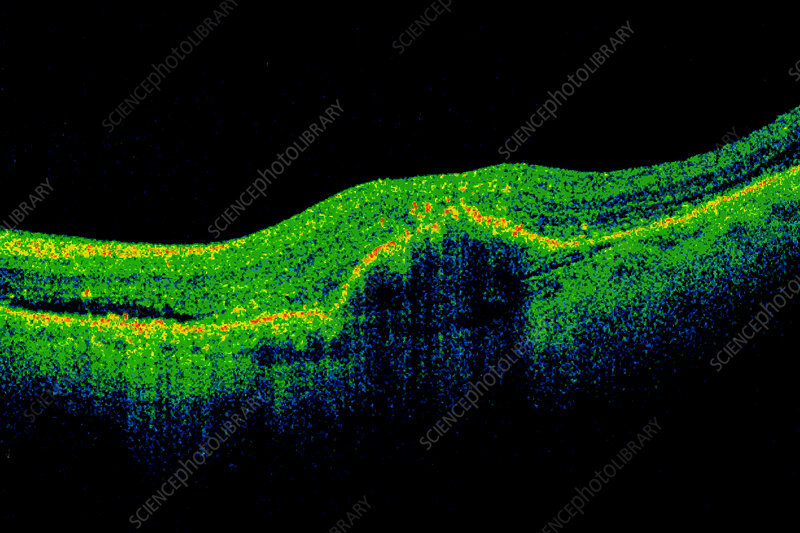 Optical coherence tomography (OCT) scan of a section through the retina of an 82-year-old male patient with age-related macular degeneration, showing the formation of new blood vessels passing through the macula. Macular degeneration causes damage to the macula, the central area of the retina in the eye, which leads to a loss of vision in the central field of vision.